Conservative students and Young America’s Foundation continue to fight for the due process and free speech rights of students, via the Department of Education. To further this commitment, we urge you to continue to support Candice Jackson’s efforts and also to withdraw the “Dear Colleague” letter of April 2011 that has led to concerns about students’ due process and freedom of speech in sexual harassment allegations and also threatened colleges and universities with loss of funding if the letter’s requirements were not followed. Americans came in time to realize how false the accusations were against the Duke University lacrosse team and members of Phi Kappa fraternity at the University of Virginia published by Rolling Stone Magazine. Nevertheless, there was a rush to judgment against the male students at both campuses. These case studies should have given government officials pause before lowering evidence requirements in sexual assault allegations. However, this was not the view or policy of the Obama Administration’s Department of Education. The “Dear Colleague” letter was published by the Department of Education’s Office for Civil Rights under the former President Obama as an attempt to combat sexual assault and give female victims an avenue, per Title IX. The letter imposed a weak precedent for evidence in sexual assault cases by defying court standards, and ultimately stripped students of their due process rights. The letter did not abide by the typical “beyond a reasonable doubt” evidentiary standard most commonly used in courts, but rather only required a “preponderance of the evidence” to determine guilt of the accused party. If institutions did not comply with the letter's standards, the school was subject to federal investigation and risked losing federal funding. This policy was one of the Obama Administration's most controversial, and received backlash from academic institutions; the administration even faced a lawsuit by the Foundation for Individual Rights in Education (FIRE) after a University of Virginia student challenged the unconstitutional, unlawful mandate. The Office for Civil Rights DCL is one of the Obama Administration’s most infamous regulations, but does little to combat sexual assault on college campuses. Rather, the standards inflicted by the letter deny male students their First, Fifth and Fourteenth Amendment Rights. 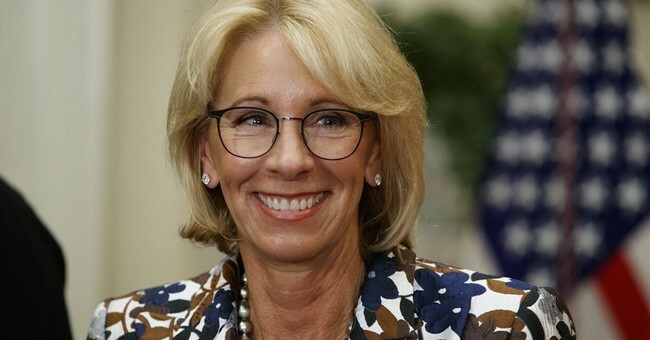 As YAF’s message to Secretary DeVos reminds, although sexual assault on college campuses is a growing problem, the solution is not to automatically claim guilt on an accused student without evidentiary support. One party in a sexual assault case should not take priority over another. Sexual assault is both a serious crime and a serious accusation, and should be treated as such in court, while the constitutional rights of all students involved remain intact.